Christian Adoption Service starting in 1994 Assisting Adoptive Families. We are honored to have helped the hundreds of Adoptive Families and Birth Parents that have chosen to utilize our services – past and present. Adoption Center of Hope, Inc. is proud to be approved by the State of California as a Bonded and Registered Adoption Facilitation Company. We serve Adoptive Parents and Expectant Parents/Birth Parents from all across the United States. It is with much joy and thankfulness that I write you this letter. The impact that adoption has had on my own life has been absolutely incredible. Though, not the easiest of roads, it has been the most amazing of journeys. From my experiences, I have naturally transitioned into answering the calling of my life by helping others along their own journey of adoption. Whether you find yourself in an unplanned pregnancy looking for answers, or you are an adoptive parent seeking the right path to grow your family ~ I understand your needs. I am grateful for this opportunity to share my own story with you, as well as the exciting things that are happening with our company and ministry ~ Adoption Center of Hope. After being brought up in a loving, Christian home, at the age of twenty I found myself unmarried and pregnant. Though scared and abandoned by my then boyfriend, abortion was not an option for me. I loved my unborn baby and wanted what was best for her: a loving mom AND dad, financial stability, Christian upbringing, educational opportunity, as well as the gift of time. These are All of the things that I had been blessed with growing up. I wanted this and more for my daughter, but I worked full time and went to school full time. Raising a baby on my own, with so little life experience seemed unfair to her. Though heart rendering, adoption seemed to be the best option. I turned to a “Christian” agency close to my home and was quickly shocked at how I was treated. As an expectant mother, I seemed to be more of a commodity than someone in need of help and direction. The importance placed on what the appearance and coloring of the baby would be, was more the priority than my emotional well being or my desires for my child. The process was insulting. I walked in hurting and hoping for answers, but walked out more wounded and confused. I had made a mistake and now I was pregnant, I did not want to compound it by making a wrong decision for my child. Because I did not know then, that the term “Christian” was so loosely used in this field or that another agency might have shown true concern for me, I did not further my adoption plan. It took one negative encounter with an adoption professional to impact my decision. In my heart at that time in my life, I still believed that my daughter deserved so much more than what I could provide for her but because of that experience, I prepared myself to become a single mom. Had I not had such an understanding, supportive family to help me so that I could work and go to school, I easily could be in a completely different place in my life. I believe that we reap the benefits and the consequences of the choices we make, but God has a way of using, even the hardest of situations, for His glory. And that is what I desired most, for the Lord to still to be able to use me. My beautiful daughter Arielle was born in 1990. I worked hard to not only provide for her but to teach her by example to learn, grow and move forward from hard circumstances in life. I had dreams and goals for both of us. As time passed, the need to help others in unplanned pregnancies grew within me. Not only to help them through the pregnancy, but to offer guidance beyond it. I longed for an opportunity to make a difference in some way. I believe it to be by God’s divine intervention that, out of the blue, I was offered a position with an adoption service. At that point I KNEW I was doing exactly what I had been called to do. After much thought and prayer, I started my own adoption company in 1995. I am in awe that we have been instrumental in helping hundreds of babies and children to be matched and placed with amazing, loving families from all over the United States. As the Lord blessed me to help others professionally, I have been blessed in my personal life as well. I met a handsome and loving businessman named David and his son, Eric. After we married, I was so happy to have Eric as my “bonus” son and we looked forward to growing our family. 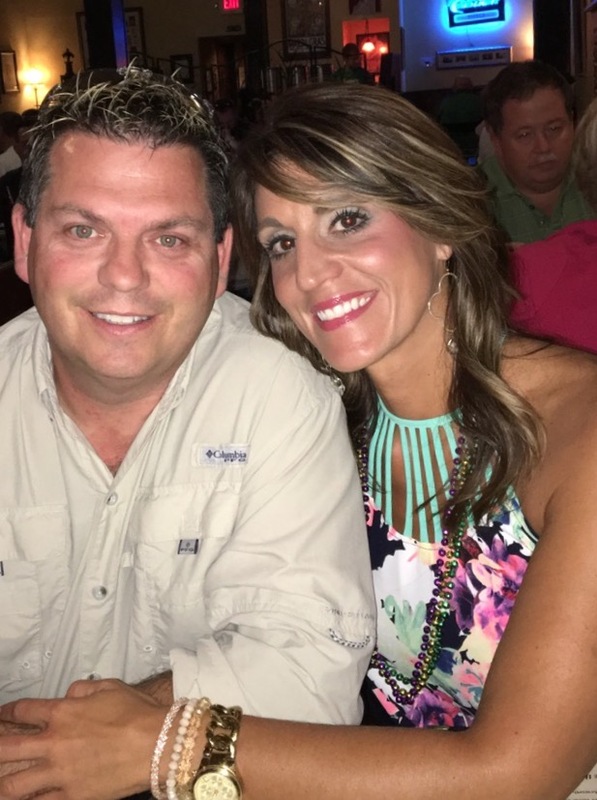 By God’s plan, David and I faced the issues of infertility and miscarriage. Though terribly painful, I am now able to relate to the hopes and dreams of Adoptive Families as well. Our daughter Devony, came to our family through the miracle of adoption in 1999. As her birth mom placed her into my arms, I knew she was placing all of her trust and love in me to give to her precious baby. In that precise moment, my life had come full circle. After Devony was born, I was able to take some time to enjoy my roles as Wife and Mom… and after several more devastating miscarriages, we were blessed with the birth of our son, Garrett. During that time, I received my certification as a Christian Life Coach and fell in love with coaching, but my calling to adoption remained strong. We started Adoption Answer, which is now Adoption Center of Hope in 2007. 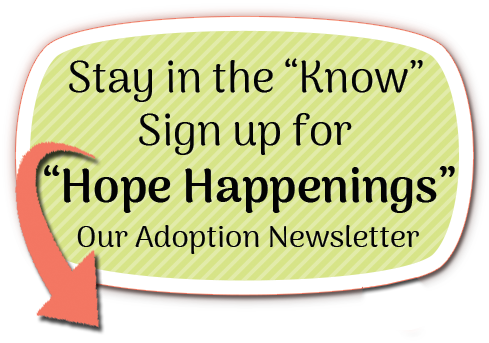 Adoption Center of Hope is a company that is committed to honoring all of those who contact us. Our toll free HELPLINE, Textline, Social Media and Online Support is available 24 hours every day for Expectant Birth Moms. We are here to provide a completely confidential, non-judgmental place where our clients can have the freedom to share, cry, be heard and be given respect and counseling. We also offer help for Birth Fathers as well. As a Life Coach, I have developed coaching programs that help the women who contact us to look beyond pregnancy and set and accomplish goals for themselves. Different from the counseling that deals with the emotions of the situation at hand, coaching actually gives them the map to move forward in life towards something that is significant to them. I believe in the gift of giving back and mentoring. Public speaking has been an amazing stage for me to shed light on adoption. As abortion has become so prevalent, my convictions are strong to outreach and share the positives of adoption. Many women do not know they have options or that this kind of help is available. Like me, each one of our dedicated staff members has been called into this field of work. It is extraordinary how adoption has touched and impacted the lives of so many. In turn, our training and understanding are utilized for a smoother process overall. So much of the focus in adoption is on the Expectant Mom, as it should be. But, just as we have her best interest in mind, our Adoptive Parents needs are equally as important to us. Adoption Center of Hope subscribes to the mindset that communication is key. With so much out of the control of Adoptive Parents, we are here to ensure that your mind is set at ease and keep you updated with any pertinent information. Some Adoptive Parents need tighter hand holding then others. That is okay, we will hold your hands.